There has been some development in the secrecy surrounding Pixar’s animation software in the past few weeks but before we get started, you might want to refresh yourself with the previous article I wrote about Menv and Presto. Pixar officially revealed their software Presto (aka Menv 13) to the world, in a jaw-dropping tech demo illustrating the benefit of relying on GPU and Nvidia latest tech for that matter. Maya and other 3d animation softwares look so antiquated compared to Presto. Unlike Autodesk and their mono-threaded CPU viewport, it is quite obvious that Pixar engineers are listening to the users. In the following video you will get to see some features animators have been screaming for and no-one seems to be listening to it. – Invisible on-viewport local trigger controls! – Realtime animation WITH hair! So you want to be a rigger (TD) huh? 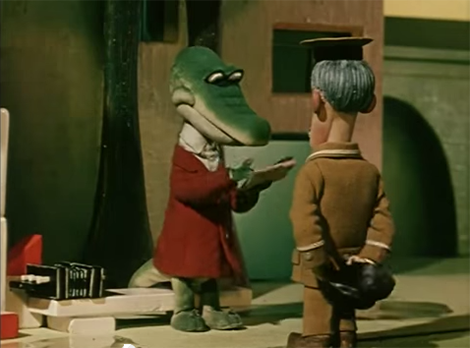 Over the years I have come across many great TV series and short films produced in the former Eastern bloc, “Pat a Mat” being one of them, but I can’t believe it took me so long to come across 1969 “Cheburashka”. 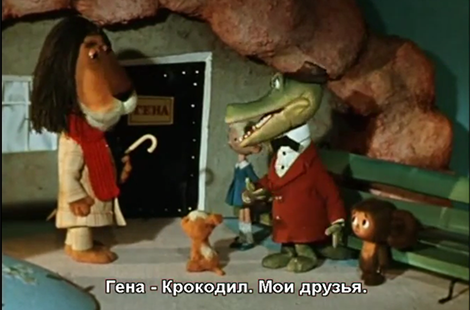 Cheburashka, is a series of four Russian stop motion shortfilms made in the early 70s, featuring Gena, a Crocodile in suit officiating at the local Zoo, and Cheburashka (“tumble” in Russian), the baby bear/monkey looking character that fell into an orange crate to wake up in a Russia town. The short films are a pure joy to watch. The characters and accompanying music are so sweet and the stories so funny and sad at the same time that you can only empathize with the characters. As a side note, Shapoklyak, the third short film of the series is definitely the one with the darkest moments. 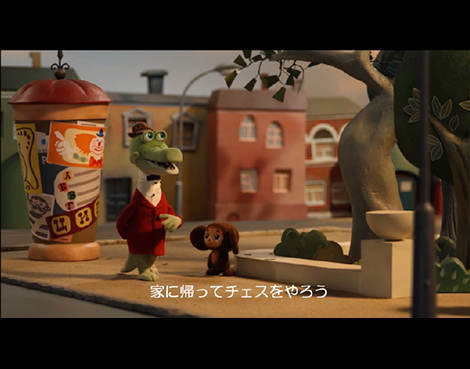 That sequence when Cheburashka, seeing how Gena is tired from their long walk back home on the train tracks after they had their train tickets stolen and suggests Gena that instead he could carry the heavy luggages while being carried by Gena is both hilarious and heart-wrenching. 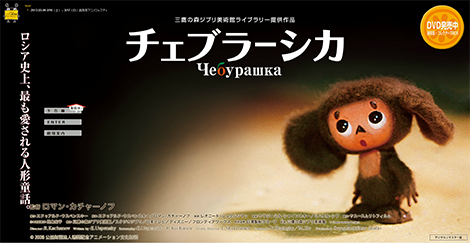 Unsurprisingly the series was immensely popular in the Eastern Bloc and Cheburashka was the mascot of the Russian Olympic team several times. What could be surprising is the fact that the series was brought to Japan by non other than legendary Japanese film director Hayao Miyazaki and Studio Ghibli. The first episode, or second one appearing in the entire compilation below, was animated by Miyasaki’s friend and inspirational director, Yuriy Norshteyn. The series gained a lot of popularity in Japan and a feature produced by both Ffango Entertoyment of South Korea and Frontier Works of Japan, supposedly came out in 2010 but I wasn’t able to find any footage of it, just the movie poster and some wonderful screenshots. If you don’t have time to watch the four shorts, I would at least recommend watching the great pantomime animation in the following sequence. The script probably said something like “Gena signs form and postal worker returns to his van”. What the animators added to it is just wonderful. Keep an eye on that hat, a lot of nice little touches made the characters so alive. There is definitely some Mr Hulot in there. And here is the the entire series with English subtitles. You definitely want to hear the original Russian song and sweet voice over work.